Outstanding homemade Penne Alla Vodka with Italian sausage! Another outstanding homemade Detroit Pizza! This time with Canadian Bacon! I just can’t get over those crispy, cheesy edges. Another homemade masterpiece, this time Detroit Pizza! This is a style of pizza developed back in the day in Detroit, MI. It is a rectangular pizza that has a thick, crisp crust and toppings to the edge. A ton a cubed cheese is what makes this pie. Special pan available from Amazon; Lady FoodObs perfected the dough recipe; the rest is history. Our new favorite homemade pizza. Recipe was inspired by Jeff Mauro on the Food Network. Outstanding homemade Linguine con Vongole made with fresh clams from my favorite Costco in Poway, CA! Outstanding homemade BBQ chicken legs from my trusty Weber kettle! Paired perfectly with some Sweet Baby Ray’s and a nice, cold Modelo Especial. Outstanding homemade BBQ pulled pork nachos! Made with the best tortilla chips in SoCal from El Nopalito Tortilla Factory in Encinitas, CA! We recently tried our hand at making this remarkable dish called Kentucky Hot Brown. A traditional American hot sammich originally created at the Brown Hotel in Louisville, KY back in the day, 1926. The Hot Brown is basically an open faced hot sandwich consisting of turkey, bacon and tomato, covered in a Mornay sauce, then baked or broiled until everything is hot, bubbly, crispy and delicious. Perfect dish for a cast iron skillet. 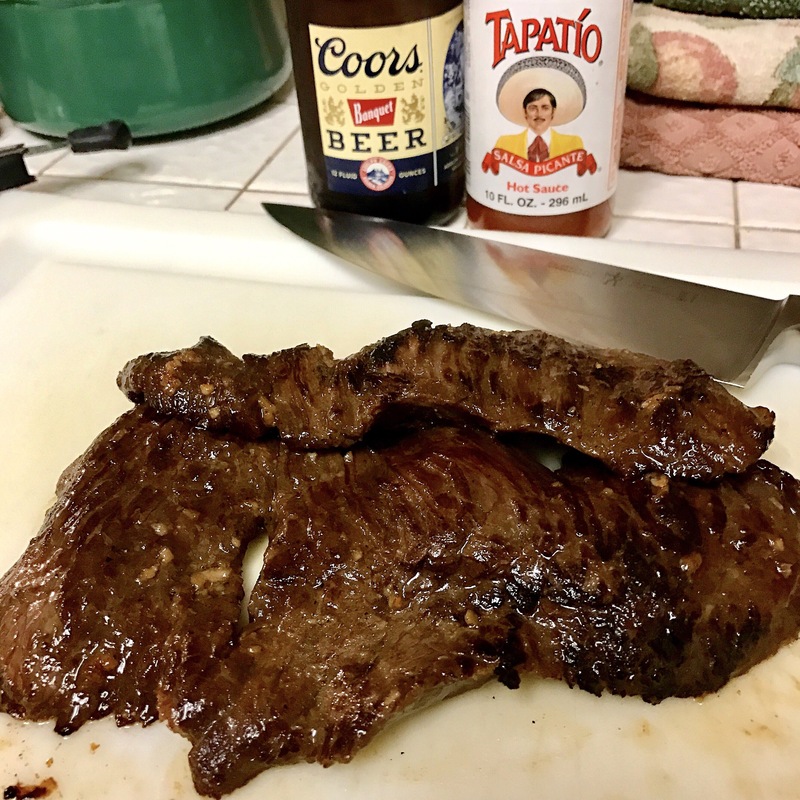 Outstanding carne asada from Stater Bros in Ramona! Their flap meat is consistently excellent. 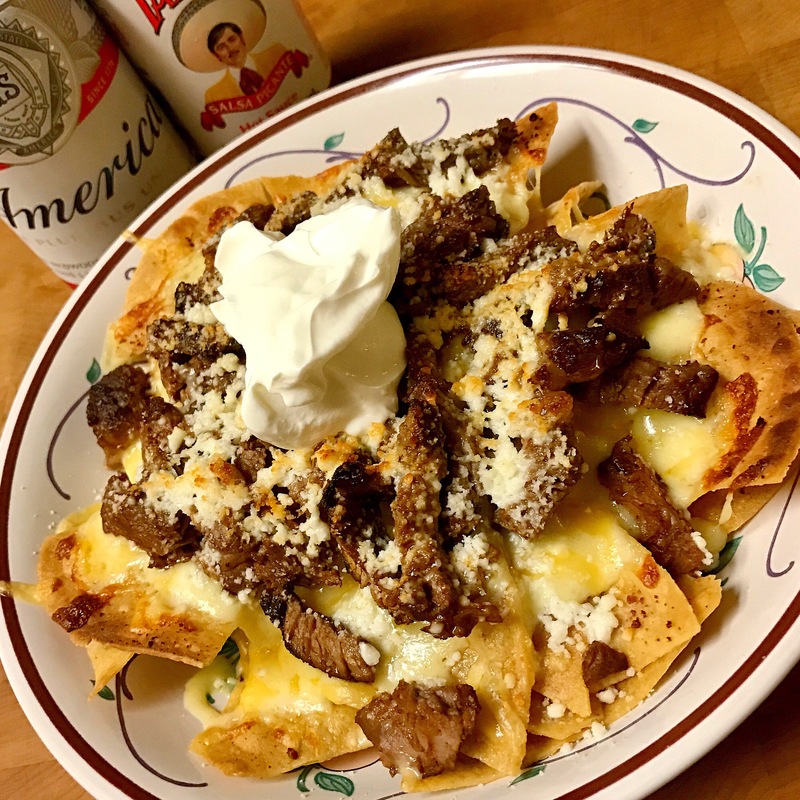 Outstanding homemade carne asada nachos!